I’ve been reading crime fiction from the ‘Golden Age’ for a long, long time. I began with Agatha Christie, who was always my mother’s favourite; I moved on to Ngaio Marsh, on the recommendation of a librarian; I borrowed a book by Dorothy L Sayers from my godmother and was quickly smitten; I discovered Margery Allingham when the BBC dramatized her work. Over the years I discovered more wonderful writers: Michael Innes, Josephine Tey and Anthony Berkeley and the first name to come to mind, but I know that there are others I’ve read and others I have still to read. 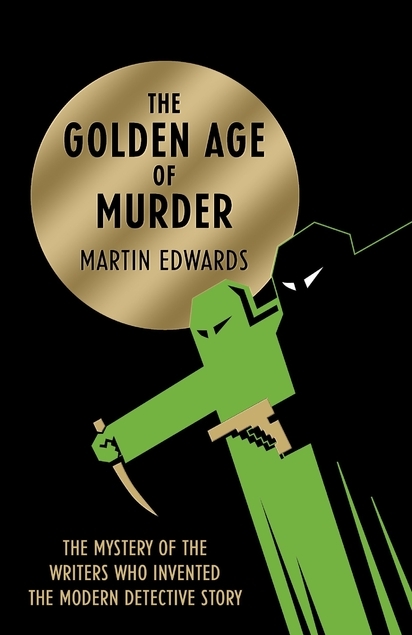 That made Martin Edwards’ books – its full title ‘The Golden Age of Murder: The Mystery of the Writers Who Invented the Modern Detective Story’ – a quite wonderful proposition. I thought that I could have a lovely time learning more about books and authors I knew and loved, remembering books and authors who had slipped my mind, and, of course, and discovering new authors and finding more books that I might read. This is the story of the writers who formed the Detection Club, in between the wars. It was an age when Britain was recovering from the horrors of the First World War; when austerity and unemployment would lead to the General Strike, while the rich grew richer and more decadent than ever before; when the British Empire was beginning its inevitable decline; and when some saw – and some didn’t see – a new threat emerging in Germany. All of that history is reflected in the lives of the writers and in their writings. It allowed crime writers to meet, to talk over ideas, to support one another each other, and to collaborate on a number of books. The book opens dramatically, as Ngaio Marsh is a guest at a ritual dinner to install a new club president. Present are ‘Eric the Skull’ and a host of crime writers including the founding members whose stories Martin Edwards will use to provide a framework for all of the stories he has to tell: Dorothy L Sayers, Anthony Berkeley and Agatha Christie. There really is a wealth of information in this book. The stories of the writers I’ve mentioned and many more are told well; with insight that allowed me to understand them as people and to understand why they wrote what they wrote in the way and at the time they did, and with understanding and restraint so that I never felt that I was intruding. They were people with very different lives and concerns, but the Detection Club made them a community, and I came to understand that they were also people who loved and appreciated the art of the crime writer every bit as much as their most enthusiastic readers. I was intrigued by the number of real crimes than underpinned the fiction of the period. There were cases I knew – most famously Doctor Crippen and Thompson and Bywaters – but there were many I didn’t; some were solved but some were not; some were of the period and some were from the past. The cases were discussed, and there were instance of crime writers turning detective to try to solve some of the unsolved mysteries. The discussion of specific titles told me that the author had a wonderful depth of knowledge of subject; and he made me want to read any number of books again in the light of what I had learned as well as reading many others for the first time. I was fascinated as I learned how the authors used their books to refer to each other, and so many interesting details that I really don’t know where to start. I was particularly interested to see the connections between people – some club members and some not – and I spotted many names I wouldn’t have associated with the crime fiction of the period, who were friends, relatives or descendants of the main protagonists. The narrative was moving slowly and steadily through time, but I was so caught up with everything in this book, with the interplay of true crime, social history, lives lived and crime fictions, and with the wealth of wonderful detail, that I hardly noticed. That speaks volumes for the author’s depth of knowledge, for his love of his subject, and for the craftsmanship he deployed in the building of this extraordinary book. It isn’t quite a comprehensive account of the Golden Age, because there were key writers who weren’t involved with the Detection Club, or who became members later, of who remained on the fringes. I have to mention that, but I also have say that it really doesn’t detract from the quality of the work. My interest dipped just a little towards the end as many of the people I had been reading about had aged, passed the peak of their writing careers, or had left this life. But it was piqued again when the author returned to the relationship between two writers, one remembered – though not as well as he might be – as a crime writer, and the other remembered for quite different reasons. This is the one specific I am going to mention, and it would have been worth the price of admission on its own. Anthony Berkeley and E M Delafield had a long and very close relationship, each influenced the other’s writing, and there are nods one to the other in many of their books. That added a more books to the very long list that I so want to read and find. I’ll also read this book again. I’ll look things up and I’m sure I’ll read it again from cover to cover. I’d call it essential for lovers of the subject; and well worth reading for anyone with any interest at all. This is the second glowing review I’ve read of this book. It sounds really interesting. I would like to read more classic crime novels. These books to quote Jane do not “call to me”. This is very high on my must read list. When I’ve finished with the Sayers course then I shall pick this up and place what I have learnt about her in the context of the other writers of the period. This book really appeals to me too. I love or want to read all the writers you mention in your post. I once saw a BBC documentary about the Golden Age of Crime Fiction writers and how the crime fiction genre has evolved down the ages. 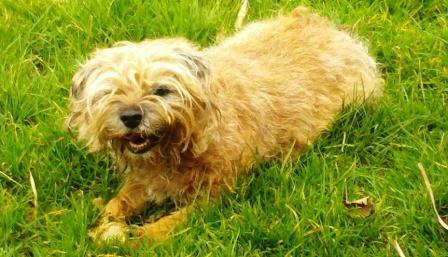 I’ve really enjoyed what little I’ve read of Patricia Wentworth and Crispin is a great favourite too! Very excitingly, I’ve discovered that my local library has a copy of this. It’s a treat I’m really looking forward to – there’s nothing like Golden Age Crime fiction to get you through the worst of British winter.